Heat oven to 400°F. Place pizza crust on ungreased cookie sheet. Spread potato topper over crust to within 1/2 inch of edge. In medium bowl, mix potatoes, oil and pepper; spoon over sour cream topper. Sprinkle evenly with bacon, tomato, cheese and chives. Bake 18 to 20 minutes or until potatoes are thoroughly heated and cheese is melted. 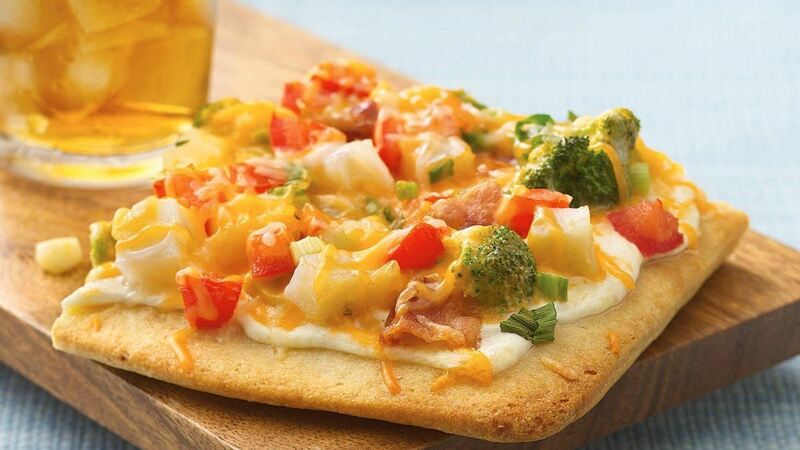 If desired, drizzle additional potato topper over pizza. Cut into wedges.